8 oz. pre-measured corn, coconut oil & seasoning. Makes perfect popcorn every tiime. 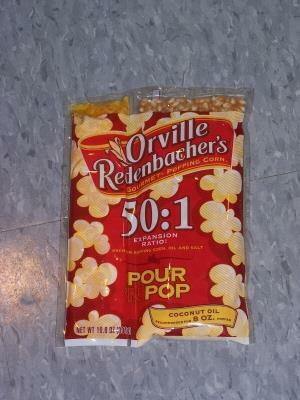 Each portion pack fills approximately (8) - 10 inch popcorn bags. * Please call us with any questions about our popcorn 8oz portion pack in Oak Grove MO, Blue Springs MO, Independence MO, Lexington MO, Odessa MO, Independence MO and Western Missouri.